I was hanging out with my friend on a nice day two weeks ago. and next to us, I noticed a guy who was wearing a Petek Philippe Nautilus in red golden. that is what I thought it was at first glance. I can’t identify if it was authentic without my glasses in the evening dusk However, after having a better try. I found it was a replica vision. because of the too round edges, crappy strap and too thick bezel. 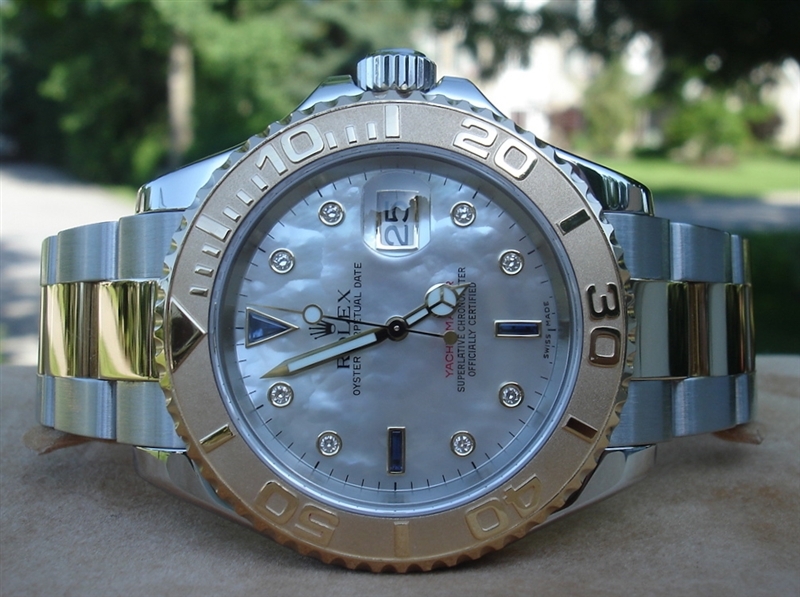 what’s more , the dial is worse than the authentic one . Even though a real Patek Philippe is only for the lucky few and Patek probably wouldn’t lose a dime over this guy who is wearing a fake one, I don’t think it is chic to have a replica watch. It becomes even more pathetic when people try to make other people think it is an authentic watch. I remember i had an interview with a famous lawyer in a watch magazine , he threw his Rolex Submariner overboard in the sea after getting remarks about him wearing an expensive/gaudy Rolex, just to tell us that he didn’t care about the money. Comically It was a fake Rolex. Poor guy, caring about other people’s opinions about his watch and wearing fake watches. Get a (mechanical) Swatch if you want to own a Swiss brand for little money. But in most (or perhaps all) cases it’s not about the watch, it is about the brand name . That’s why some people who can’t afford the authentic watch wear the fake one . Recently Haute horlogerie has a plan on counterfeit watches with the Federation of the Swiss Watch Industry. Fake Watches are for Fake People. This plan aims to remind people of the damage that these replica products are getting globally. Although we know the real reason is caused by people who buy fake watches. I guess the famous lawyer may buy a real Rolex easily. The guy sitting to me may get the red Petek Philippe more difficultly.